The Vadodara based Sanghvi Forging and Engineering Limited (SFEL) is entering the capital market on 04-05-11 with an IPO. The company intends to raise Rs 42.50cr with issue shares of Rs 10 FV, in the price band of Rs 80-85. Arihant Capital Markets are the BRLM. The issue closes on 09-05-11. The company, incorporated in 1989, is a manufacturer and exporter of forging products for the non-automotive sector. It manufactures forged flanges, forgings and machined components for various industries like oil & gas, fertilizers, power, desalination & water treatment, ship building, defense, fabrication of process equipments, instrumentation etc. SFEL has an installed capacity of 3600 MTPA for manufacturing of forged flanges and precision machined components (with single piece forging up to 4 MT) in the area of open and closed die forgings. The existing manufacturing plant consists of forging shop, die shop, heat treatment shop, conventional and CNC machining shop backed by related quality assurance equipments. The company regularly exports to Europe, Middle East and Canada. SFEL proposes to set up a 15,000 MTPA open die forging unit at estimated to cost Rs. 120.39cr. The IPO is to part finance the above projects for which SBI and BOB have sanctioned TLs. The apprising bank – SBI has expressed concern over cost and time over-run, operating risk and on the capability of the management in execution of the proposed expansion. Compared to the current turn over and net worth of the company, the expansion envisaged is very huge at Rs 120cr. High working capital intensive unit. There are audit qualifications on certain accounting methods. IPO grade 3 by CARE. The post issue capital of the company would be around Rs 13cr. At Rs 80-85, the company is demanding a PE multiple of 20plus, which is expensive. The shares of established peers like Ahmednagar Forging (6PE) and Ramakrishna Forging (11PE) are available at much cheaper valuation. The are risks associated with the huge expansion, the company is undertaking. The BRLM is also not known for bringing quality issues. It appears this is one more IPO for operators. FUTURE VENTURES IPO FINAL TALLY - 1.52 TIMES, RETAIL SUBSCRIPTION 0.61TIMES. QIBs, RETAIL INVESTORS SHUN FUTURES VENTURES IPO. The IPO, for which the QIB bidding closed today, received subscription to the extent of 26% of the shares reserved for the category. Similarly the Retail portion is subscribed to the extent of 16% only. The issue (for Retail) closes tomorrow. HDFC Asset Management Company Limited. The IPO till the end of second has received subscription to the extent of 5% in the retail category. The shares reserved for this category is 26,25,00,000 equity shares, as against this the total subscription received is 1,34,83,200 shares, accounting only for 5% of the offer. The IPO received total subscription to the extent of 3.92 times, on the final day. However DFIs / Banks / Mutual Funds / Insurance companies did not subscribe / evince interest in the issue. 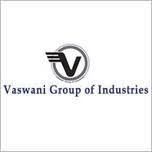 IPO ANALYSIS: VASWANI INDUSTRIES LIMITED - EXPENSIVE – AVOID. The issue is being lead managed by Ashika Capital who had earlier managed Tirupati Inks FPO. Investors are aware what happened to the Tirupati Inks shares after FPO. Now we have one more issue of the similar quality from the same BRLM. The company intends to issue 1,00,00,000 equity shares of Rs 10 FV in the price band of Rs 45-49. The IPO opens on 29-04-11 and closes on 03-05-11. The issue constitutes 43% of post issue capital of Rs 23.49cr. The chattisgarh based company is engaged in manufacturing of sponge iron, billets and power generation (11.5 MW). The IPO is being brought out to prepay the Term Loan (Rs 24.38cr) and to augment the working capital requirements. During 2009-10 the company reported an operating income of Rs.95.95cr and a profit after tax of Rs.3.68cr, giving an EPS of Rs 3.15. ICRA takes note of the recent additions in the sponge iron and waste heat recovery based power capacities, which would lead to growth in the turnover and profits in the near to medium term. Nevertheless, the scale of VIL’s operations continues to be at moderate levels. Further, moderate capacity utilization of the sponge iron unit and a largely idle billet capacity, coupled with the moderate profitability of business because of a lack of captive raw material sources depress the overall business returns of VIL. The secondary steel industry in which the company operates is highly fragmented and has low entry barriers, which also exert competitive pressures. Going forward, VIL is likely to enjoy stable profitability from the sale of power. Nevertheless, an unfavorable movement in the prices of its iron and steel products, which are highly commoditized in nature, could have an adverse impact on the overall profitability of the company. Also, the iron and steel production process is highly raw material intensive in nature, which exposes the company to the risks of unfavorable raw material price movements relative to its end product realizations. VIL’s business has a high working capital intensity, which exert pressure on its overall liquidity position, leading to occasional delays in debt servicing in the past. 1. The company had negative cash flow in the last 5 years. 2. High working capital and raw material intensive unit, which drags the margins. 3. The IPO intended for easing the liquidity problems faced by the company and in no way increases the production capacity or efficiency. The company, post IPO will have equity of Rs 23.49cr. Assuming that the company will post a net profit around Rs 5.50cr for FY11 (up 50% over FY10), the EPS would be near Rs 2.50, which makes the stock expensive in the price band of Rs 45-49. These kinds of companies are not fancied by investors. It will take years for the company to come to dividend list. The grade awarded by ICRA is a clear sign of bleak prospects, more so for IPO investors. The listed peers are MSP Steel & Power and Godhavari Power & Steel. Poor quality IPO. AVOID SUBSCRIPTION. CANARA BANK FY 11 RESULTS ON 05-05-11, RESULTS MAY BEAT MARKET EXPECTATIONS. FUTURE VENTURES - IPO FROM AN INTANGIBLE ASSET,OPERATING LOSS MAKING COMPANY. PIPED DREAM IPO - AVOID. Look at some of the highlights of the IPO. As against the net worth of Rs 738cr, the intangible asset is Rs 493cr as on 31-12-10. On the above net worth the total revenue receipts reported for the period is Rs 400cr. The post issue capital would be in excess of Rs 1500cr, almost four times the turn over achieved. For the year 2010, 33 out of the 36 group companies reported losses. Promises made by the Pantaloon Retail IPO has not been met. The 2010 performance of the BRLMs*, who are associated with this IPO, is an indication of the quality of IPO. BRLMs for the IPO - KOTAK, ENAM and JM. Object less IPO - there are no definitive plans for utilization of funds. According to a report published in BS (14-04-04), that 70 percent of the IPOS that hit the market in FY 11, are trading below the offer price. The top value destroyers and the BRLMs associated with the issue are indicated below. IDFC Capital, DSP Merrill Lynch, *Enam Securities, ICICI Securities, SBI Capital Markets and YES Bank. FIRST CHOICE IPO had recommended for staying away from all the above IPOS. Incidentally, the above IPOS had superior grading – SKS, ORIENT and A2Z had grade 4 and the other two had grade 3. INDIA BULLS REAL ESTATE RESULTS ON 30-04-11. Labels: INDIA BULLS REAL ESTATE RESULTS ON 30-04-11. Detailed analysis posted in the site. MUTHOOT IPO - FINAL TALLY AROUND 25 TIMES. The IPO which closed today received tremendous response. As against the issue size of Rs 900cr, the company received subscription in excess of Rs 20000cr. Labels: MUTHOOT IPO - FINAL TALLY AROUND 25 TIMES. ADRs - INFY, WIPRO AND SATYAM UP IN EARLY TRADE. Innoventive Industries Limited (formerly Arihant Domestic Appliances Limited) is a multi product engineering company engaged in manufacturing of Electric Resistance Welded (ERW) and Cold Drawn Electric Welded (CDW/CEW) tubes. IIL manufactures precision steel tubes which are used in automobile industry, energy sector, general engineering and furniture industry. The company has installed capacity of 64,800 MT/annum for ERW tubes and 23,265 MT/annum for CEW tubes. The group which was basically into trading, made its foray into manufacturing of ERW and DOM tubes, in the year 2002. The company has been approved by Bajaj Auto Limited, to supply precision tubes to its suppliers. The other major customers of the company are BHEL, Thermax, Alstom Projects and Cethar Vessels, among others. The company has six manufacturing facilities located across Pune and Silvassa. The company sells the products in the domestic as well as in export markets. The IPO proceeds are proposed to be used primarily for capacity expansion , repayment of term loans (Rs 50Cr) and for general corporate purposes. IIL has reported a PAT of Rs. 28.49 crore in FY10 on an operating income of Rs. 425.2 crore, a considerable increase over the PAT of Rs. 15.53 crore on an operating income of Rs. 371.1 crore in FY09 on consolidated basis. 1.The company has weak capital structure, characterized by high gearing, low capacity utilization, high working capital intensity and limited ability in passing raw material price fluctuations. 2. As at August 31, 2010, the company had Rs. 285.35cr (secured) and Rs. 47.73cr (unsecured) loans. 3. CARE had downgraded and suspended the debt rating from CARE BBB for Long Term Bank Facilities and PR2 for Short-term Bank Facilities to CARE B for Long Term Bank Facilities and PR4 for Short-term Bank Facilities in 2009-10. Inability to maintain or obtain satisfactory credit ratings in any future periods, or that any future downgrading in the credit ratings may have an adverse effect on the operations. 4. Deferred sales tax liability of Rs 32cr. 5. Top 10 customers account for 50% of the turnover. 6. Land for expansion is still to be obtained. 7. Very high debtors and inventory levels. The promoters have long standing experience in the industry and have close control on operations. The expansion plans are not yet crystallized. A part of the IPO amount (Rs 50cr) goes for repayment of long term debt. The post issue capital would be around Rs 50cr. The PAT /Operating Income margin has gone up substantially in the recent years, as IPO was envisaged. At Rs 117-120, the issue is priced around 11PE, on the expected FY 12 earnings, on the post issue capital. The pricing looks attractive. INVEST. The listed peers are Tube Investments (FV Rs2) which is trading around Rs 141 (19 PE) and Gandhi Special Tubes (FV Rs5) which is trading around Rs 109 (6 PE). MUTHOOT IPO SUBSCRIPTION STATUS - SUBSCRIBED 7 TIMES ITS OFFER BY 3.00PM ON 20-04-11. IPO ANALYSIS: FUTURE VENTURES LIMITED – DESPERATE FOR FUNDS, PRICE BAND RAISES MANY QUESTIONS. The Futures Ventures Limited, part of Future Group is planning to raise Rs 750cr through an IPO, which will open on 25-04-11 and close on 28-04-11. The much expected IPO has a price band of Rs 10-11. This indicates how desperately the group needs funds to ease their tight liquidity position. Can any one imagine a par issue from the established business conglomerate? There appears to be something terribly wrong. The issue is being managed by merchant bankers whose performances in managing IPOS in the previous years are pathetic and have associated with the top value destroyer IPOS (BS 11-04-11). The Future Group is led by Kishore Biyani, focuses on consumption-led businesses in the country and is also one of the country‘s leading organized multi-format retailers. PRIL, the flagship company of the Future Group, has incubated, nurtured and brought to maturity several businesses and formats, including FCH, Future Generali Insurance, Future Supply Chain, Future Agrovet, Future Media, Future Brands, Future Bazaar, Pantaloons, Central, Big Bazaar, Food Bazaar, Home Town and E-zone. of (i) fashion, (ii) FMCG, (iii) food processing, (iv) home products, (v) rural distribution and (v) vocational education. propositions. The company intends to be a long-term owner, operator and/or partner of the Business Ventures and seek to create value as an active shareholder by deploying the consumer insights, operating skills. Future Ventures seek to access opportunities at various stages of the enterprise growth cycle, from nascent to more mature businesses, with a view towards medium to long-term value creation for the shareholders. There are no definitive plans to utilize the proceeds of the issue. It appears the issue is brought out to ease the liquidity faced by the group. The objects of the Issue have not been appraised by any bank or financial institution. NAV AS ON 31-03-10 is Rs 8.75. The issue is being managed by Kotak Mahindra Capital, JM Financials and Enam Securities. The performance of the issues managed by the number ‘one’ merchant banker (Kotak) in the country is pathetic. In the year 2010 the company managed 19 issues. Out of the 19 issues only 8 IPOS are quoting above the issue price. Enam Securities managed 17 issues. Out of the 17 issues only 6 IPOS are quoting above the issue price. JM Financials has managed 7 issues, out of which only 2 are trading above the issue price. The BRLMs are not known to bring investors friendly issues. Their judgment on premium has been totally off the mark. The same combination of BRLMs along with UBS Securities, managed the Future Capital Holdings Limited IPO in 2008. As against the issue price of Rs 765/- the shares are now trading at Rs 160 in the exchanges. The group / company operate in the highly competitive retail segment. The past performance of the company / group is not inspiring. In the past, PRIL made promises during the initial public offering of its equity shares but was unable to perform as per those promises. Out of the 21 group companies, 20 companies reported losses in the FY 10. The group has not rewarded the investors in the past. One of the poor quality IPO, being managed by BRLMs with pathetic record. This is another day light robbery issue, like BS transcomm, Gyscoal alloys, CEBBCO, Aster silicates etc. SEBI should exercise caution while clearing these kinds of IPOS, whose only aim is to loot the public money. Servicing post issue equity around Rs 1400cr would be very difficult. The issue is not for investors. Speculators / high risk takers can try their luck for listing gains. MUTHOOT IPO GETS GOOD RESPONSE ON DAY ONE. The 900cr IPO received good response on day one. At 4.00pm, the company has received subscription to the extent of 15% of the offer, according to NSE website. This is commendable considering the BSE Senex is down by almost 300 points today. Labels: SUBSCRIPTION STATUS -MUTHOOT IPO GETS GOOD RESPONSE ON DAY ONE. The Mumbai based print packaging company is entering the capital markets with an IPO on 20-04-11. The company intends issue of 1.50 cr shares in the price band of Rs 32-35. The issue closes on 25-04-11. ICRA has awarded grade2 to the IPO. One life Capital advisors are the BRLM. 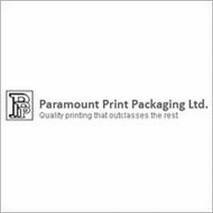 Paramount runs an integrated facility that includes pre-press, cutting paper, printing, hot foil stamping, varnishing, UV coating, lamination, embossing, punching and pasting. The automated process gives the company the ability to execute high quality and large volume printing jobs, efficiently in lead times. The company operates out of a fully automated plant at Navi Mumbai, capable of supplying hundreds of different types of folding box cartons that suit the needs of customers. The company’s plant has the capacity to convert approximately 400 tons of paper board every month. In terms of finished products, the Company has the capacity to produce 20 lac cartons a day. The company is promoted by Ashwin Babulal Sukhadia and family members. • Setting up of unit at Gujarat, for manufacturing of high end duplex board cartons, shippers and printed corrugated box. • Augmenting the long term working capital requirements. Fully equity funded, no appraisal by Banks / FIs. Utilization plans not finalized. The company has not made contributions to the Provident Fund and Employees State Insurance funds for fiscal 2010 amounting to Rs 27lacs. And no provisions have been made for retirement benefits of the employees. Some regulatory approvals are yet to be obtained. Post issue promoters holding will be down to 40%. Average cost of acquisition of shares by promoters is Rs 10. IPO grade 2 by ICRA indicating below average fundamentals. The grading is constrained by Paramount's modest size and scale of operations; weak net profitability levels due to heavy interest burden and depreciation costs; high working capital intensity in the business and the expected decline in return indicators in the near term given the large expansion and the resultant equity dilution. The company would face high project implementation risks in setting up the new project, especially given the large size of the expansion in relation to existing operations of the company as well as the limited progress achieved on the same and the dependence on IPO proceeds for financial closure. ICRA notes that going forward, successful commissioning of the project would augment the revenue size and profitability indicators; however, the same would remain dependent on successful implementation of its new project as well as market acceptance of the products. Family run, small time company. And there is evidence of lack of corporate governance. There are inconsistencies in net margins reported, in the previous years. The company operates in highly competitive segment, where margins are are very thin. The BRLM is unknown. Although the price band appears reasonable, because of corporate governance issues and inconsistency in margins reported, it is advisable for investors to stay way from the IPO. Speculators / high risk takers can try their luck for listing gains. The listed peers in the segments are Bilcare, TCPL Packaging and Uflex limited. IPO ANALYSIS: MUTHOOT FINANCE LIMITED – ALL WEATHER NBFC – INVEST. India's share of global demand of gold, which stood at 16 per cent in 2009, rose to 25 per cent in 2010 and it is also the biggest buyer of gold jewellery with a 20 per cent share of the market. For the quarter ended Dec. 31, India's gold jewellery demand rose 47 per cent to 210.5 tonnes from a year ago, according to WGC. As per the data released by World Gold Council (WGC), gold has provided an annual average return of 26% over the past decade (between 1999 and 2008). With the annual average gold price grown year-on-year, gold has always provided positive returns every year for the last 10 years. The Kerala head quartered, seven decades old, Muthoot Finance is entering the capital markets with an IPO. The company intends to issue upto 5, 15, 00,000 equity shares of Rs 10 FV in the price band around Rs 160-175. ICICI SECURITIES, HDFC BANK, KOTAK MAHINDRA CAPITAL COMPANY are the BRLMs. Muthoot is the largest gold financing company (NBFC - ND -SI) in the country in terms of loan portfolio. The company provides personal and business loans secured by gold jewellery, primarily to individuals who possess gold jewellery but are unable to access formal credit within a reasonable time, to meet unanticipated or other short-term liquidity requirements. The company has 70 years operating history. In addition to the Gold Loan business, the company also provides money transfer services through the branches as agents of various registered money transfer agencies. Muthoot also operates three windmills in the state of Tamil Nadu. It has the largest branch network among gold loan providers in the country with 1,925 branches and a strong presence in the under-served rural and semi-urban markets. In 2010, it received a fund infusion of Rs 2.5 bn from private equity players like Baring India Private Equity, Matrix Partners India, Kotak India Private Equity Fund and Wellcome Trust for a 6% stake in the company. In 2011, Wellcome Trust picked up an additional 1% stake from the promoters, taking the total stake of private equity investors to 7%. During FY06 to FY10, Muthoot Finance’s AUM increased at a CAGR of 74% driven by the rise in pledged gold and a spurt in gold prices. It reported gross AUM of Rs 74 bn and PAT of Rs 2.3 bn on a total income of Rs 11 bn in FY10. The average yield on the AUMs during the same period was 19.9%. In FY10, while asset quality remained strong with gross NPA of only 0.46%, the capitalization level was comfortable with a capital adequacy ratio of 14.8%. The financial performance is vulnerable to interest rate risk. Largest gold loan company with early mover advantage. Strong presence in unbanked semi urban and rural areas. Affordable interest rate, loan fully backed by gold. Track record of profitability even during turbulence period. The company is a market leader in the segment with strong presence in over 2600 branches. The average RONW in the last three years is 34%. The NPA level is negligible. At the upper end of the price band of Rs.175, share is being offered at a PE multiple of 12.5x based on FY11 EPS (expected) of around Rs.14 and going forward at a PE multiple of 10, on the assumption that the EPS for FY 12 would be around Rs18. The premium sought is justified considering its pedigree and the kind asset portfolio the company deals with. The other listed peer – Mannapuram Finance (FV RS1) is trading around 25 PE. Private equity players Baring, Matrix and Welcome have invested in the company. Given the expected GDP growth and appetite for gold in the country, the company is likely to witness robust growth in the years to come. INVEST for short as well as for long term. Labels: IPO ANALYSIS: MUTHOOT FINANCE LIMITED – ALL WEATHER NBFC – INVEST. RIL Q4 RESULTS ON 21-04-11.